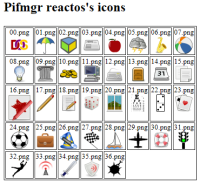 pifmgr.dll of ReactOS. We need this for compatibility. 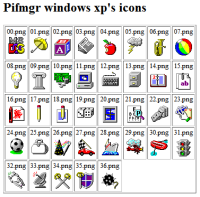 I was drawing as I can draw some icons for pifmgr.dll. I can't draw very vell. 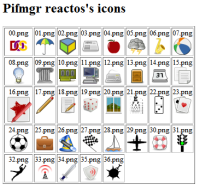 I don't know Windows programming with C and C++, so I can't create new resource file for pifmgr.dll.